First off, I would like to send out a HUGE THANK YOU to Jennifer McPherson, who is not only my sister but also our AMAZING travel agent. Her exceptional customer service goes above and beyond to ensure that our vacation plans leave us relaxed and comfortable. Once again, Jennifer helped us with every detail from picking the right tour/destination to flights, hotels, connections and more! We love you Jennifer!!!! 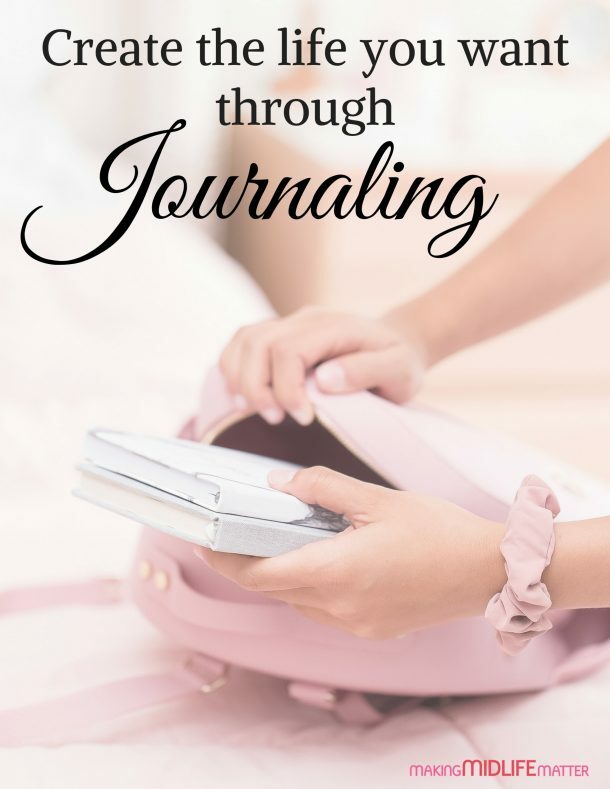 You can contact Jennifer through her Facebook page, email her at jmcpherson@travelonly.com or visit her website here. 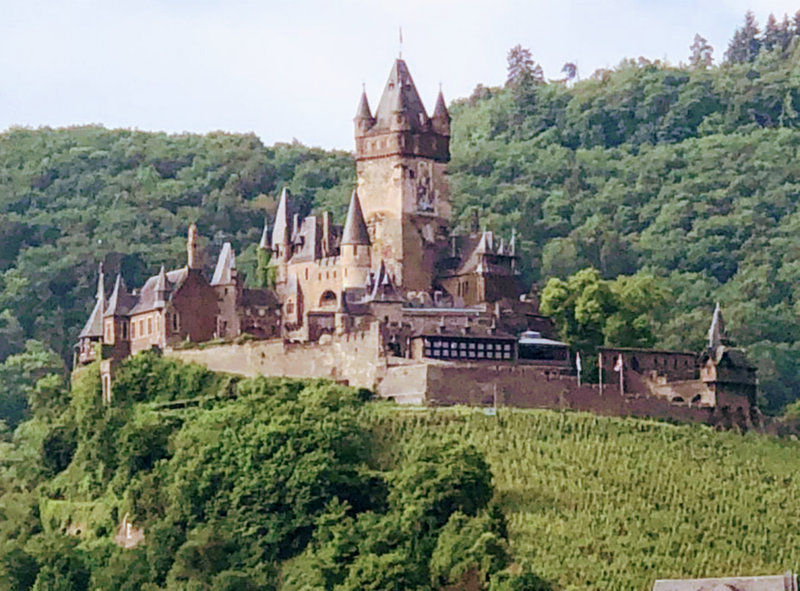 Our most recent adventure was the Rivers and Castles Cruise with AmaWaterways. 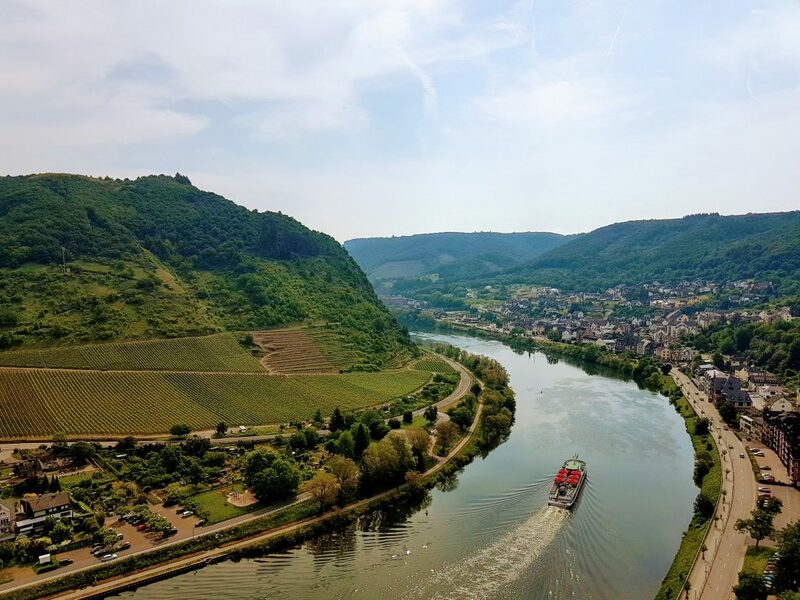 This is a 7-night cruise aboard the luxurious AmaDante ship that started in Nuremberg and took us down the Main, Rhine and Mosel Rivers, stopping at beautiful towns along the way in Germany ending in Luxembourg. 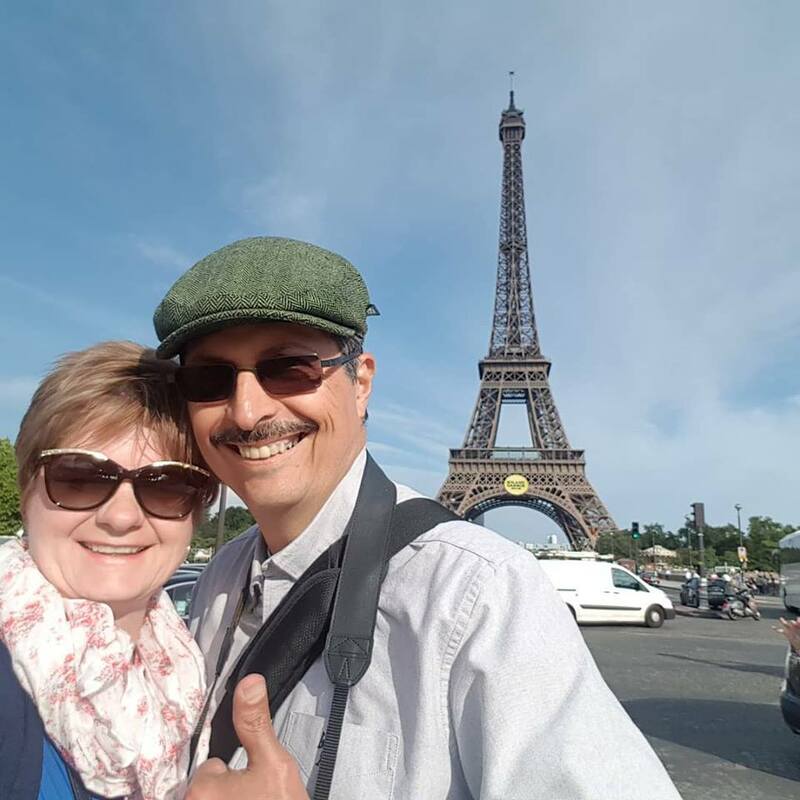 We took advantage of the optional add-ons: a pre-cruise 2-night stay in Prague and post-cruise 3-night stay in Paris. 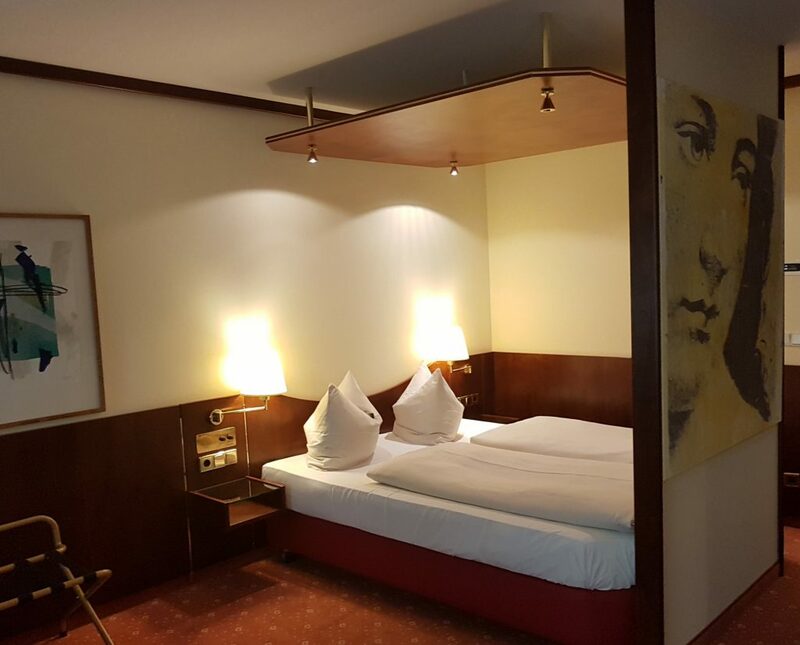 We also paused to explore Berlin for 3 nights on our own. This was our first time on any kind of cruise (ocean or river) so you can imagine our surprise when we entered our stateroom. We were on the main deck so we had a nice bright sliding glass door that opened to a French balcony and the room had lots of space. Dining on the ship was amazing, with so many choices during each meal. Breakfast and lunch were buffet style including a staffed station for customized omelettes or pastas. Dinner included a wonderful selection each day off the menu. The service was impeccable!! The ship is has 3 levels of roomy staterooms and a 4th level being the sun deck. The spacious lounge and restaurant areas are at the front of the ship one above the other with lots of windows for viewing the scenery in front of the ship and on both sides of the rivers. Because of the low bridges on this cruise, we were unable to spend a lot of time up on this deck. So we took advantage of the times the deck was open. 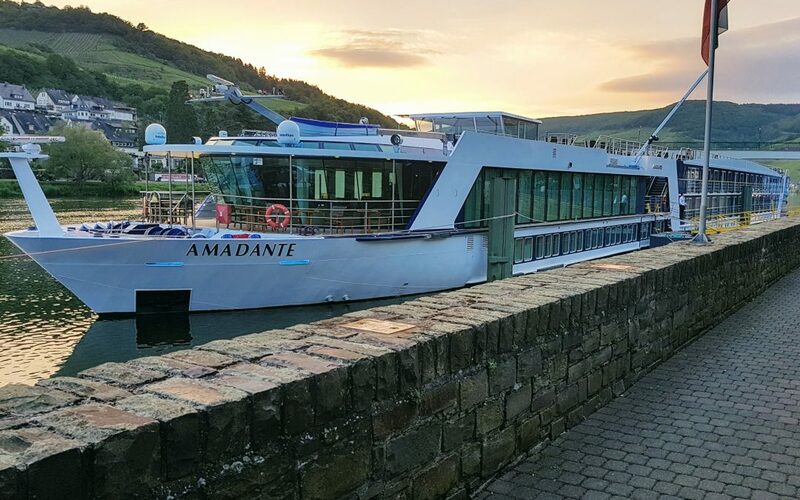 One of the pluses about this AmaDante is that unlike many other cruise lines, when the sun deck is closed, we can still enjoy the outside of the ship on a lower level around the Captain’s Wheel House as well as on the bow of the ship in front of the lounge. We had nightly entertainment with local bands, a pianist, and a glass blowing demonstration. 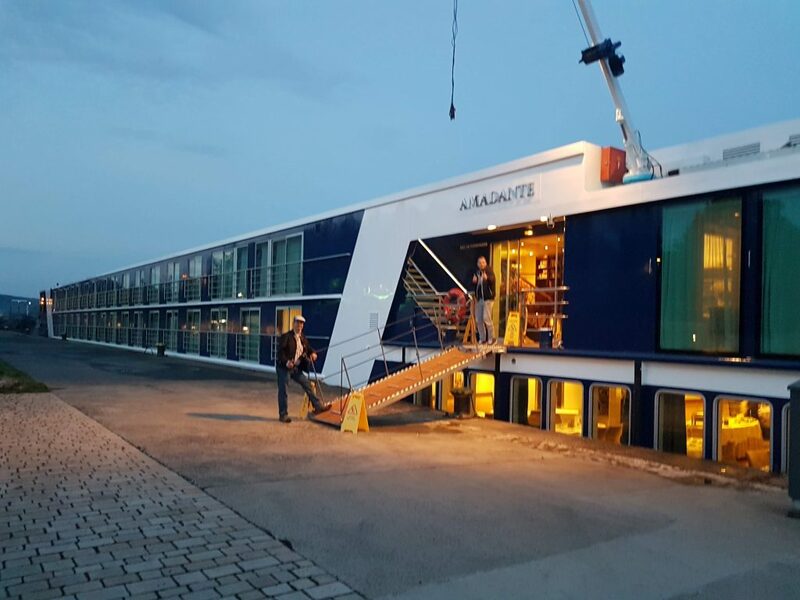 AmaWaterways tour guides, ship crew and staff were top-notch, professional and knowledgeable. We met our Cruise Director in Prague, who organized us at the hotels, tours, rooms on the ship, entertainment and he stayed with us all the way to Paris. Every day we had 3 tour choices which was perfect because each one is designed with ability levels from gentle walks, regular walks to hikes and bike tours, everyone could explore and nobody was left behind. We would all meet back at the ship for lunch or at the end of the day for dinner. 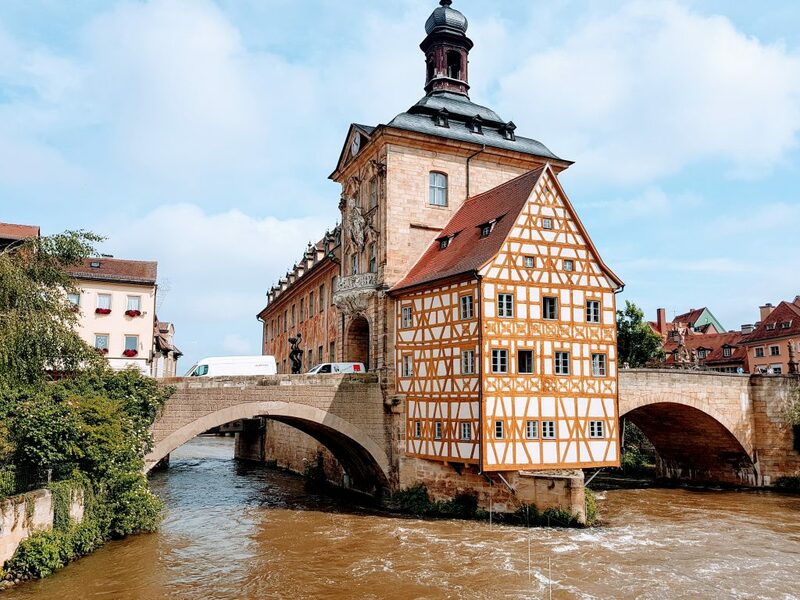 We stopped in historic towns and cities like Bamberg, Kitzingen, Rothenburg, Cochem and Germany’s oldest town – Trier. 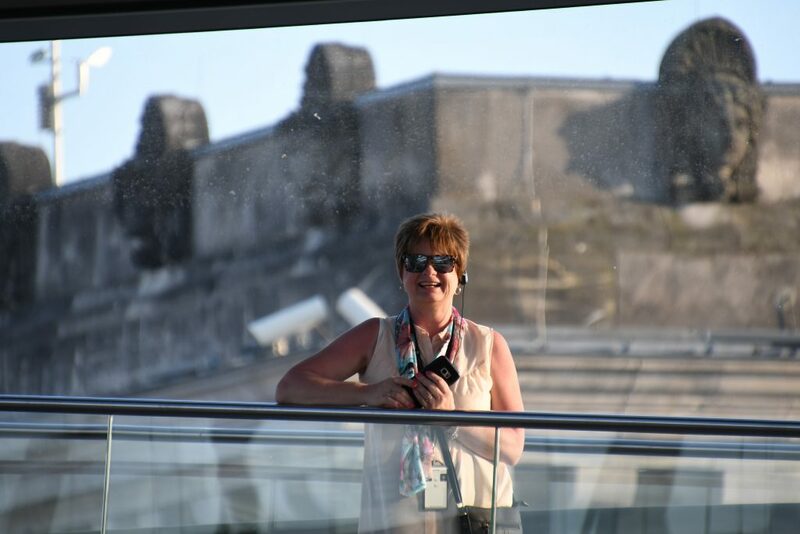 It’s worth a little research before you book but I will tell you that AmaWaterways is one of the best. We paid one price and knew BEFORE we left what was included (tours, hotels, food etc). On this cruise, only 2 tours were optional with an extra charge, if we chose to do them. (and they were worth it!) All the rest of the tours were included. Unlike other (maybe cheaper) companies many of the excursions are extra charges that can add up and before you know it, you’ve paid double. 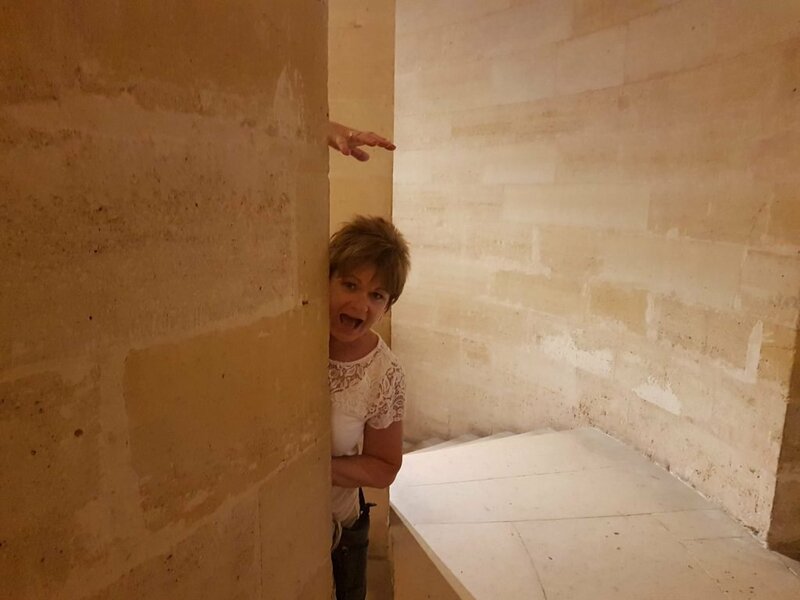 With AmaWaterways, there were no surprises. 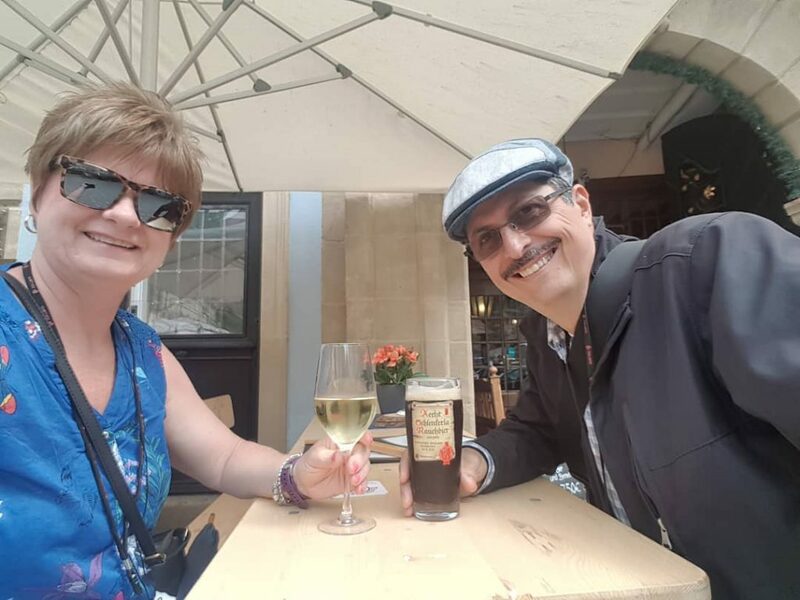 We were with a professional company on a luxurious ship and stayed in 5-star hotels (Prague & Paris) and best of all, we met many new friends, the food was wonderful, we had wine from each region and we were treated VERY well!! 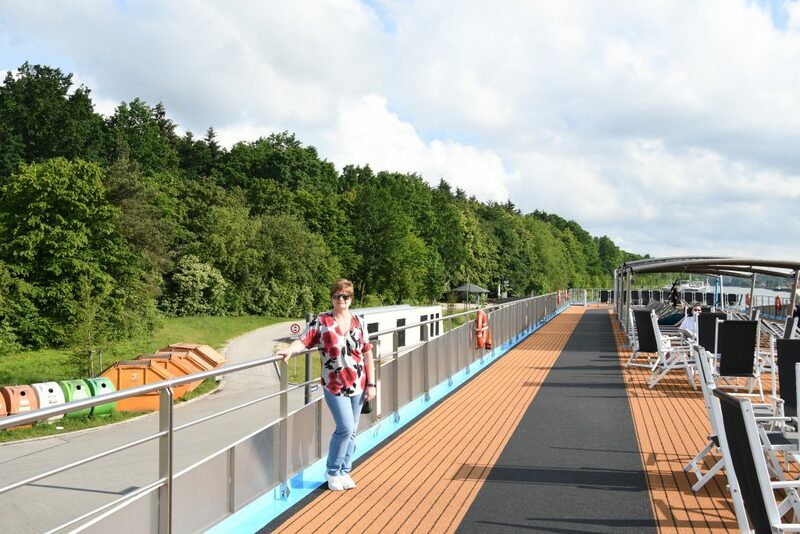 AmaWaterways also have really great deals like 2 for 1 cruises two times a year, singles pricing and I am betting a whole lot more. 5. 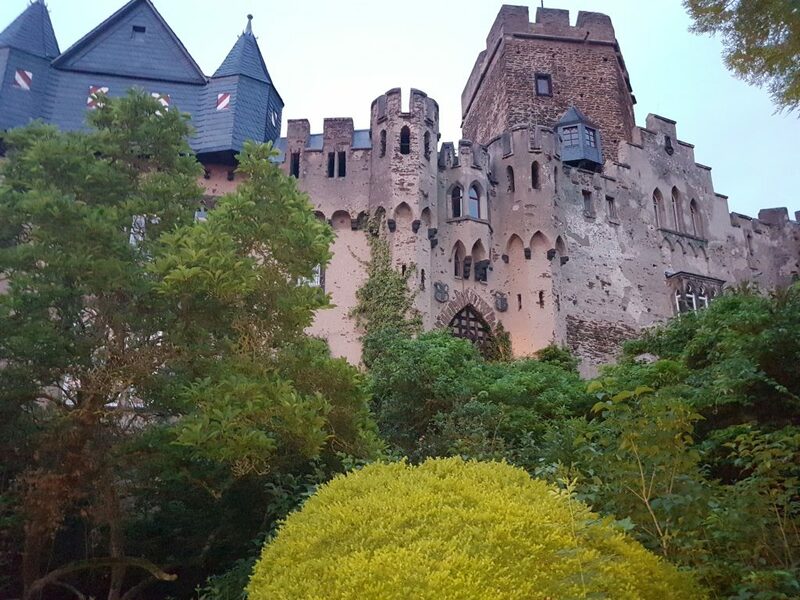 And of course, the tours & castles! This is why you book a “rivers and castles” cruise, am I right? You won’t be disappointed! You will visit many beautiful castles and ruins along the way. You also get tons of free time to explore on your own, try local foods, beer, wines – and shop!! 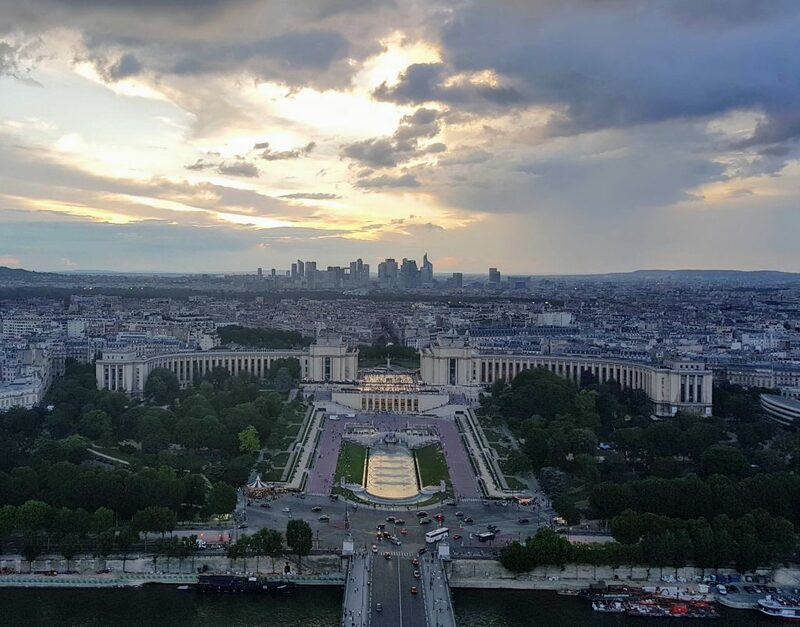 Top it all off with a post stay in Paris for the piece de resistance. I had such a fabulous time and I know you will too if you book this tour. It is a great way to check off multiple places off of your bucket list. I highly recommend using my travel agent for all of your vacation plans. All of her information is provided at the top of this post. For more information or to collaborate with Making Midlife Matter, please email elena@makingmidlifematter.com.